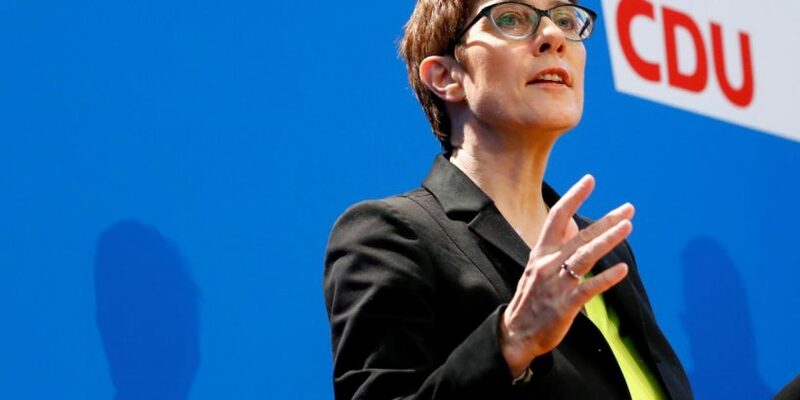 BERLIN (Reuters) – Some 35 percent of members of the two conservative parties in Germany’s ruling coalition favor Annegret Kramp-Karrenbauer, a protege of Chancellor Angela Merkel, to replace her as leader of the Christian Democrats (CDU), a poll showed on Friday. Some 33 percent backed businessman Friedrich Merz while 7 percent favored Health Minister Jens Spahn, according to the poll of 1,200 people that Mannheim-based Forschungsgruppe Wahlen carried out for broadcaster ZDF between Nov. 6 and 8. It is up to delegates of the CDU party to elect their new leader – rather than the entire conservative bloc, of which the Bavarian Christian Social Union (CSU) is also part – but opinions among the conservatives are likely to influence how delegates vote, ZDF said.